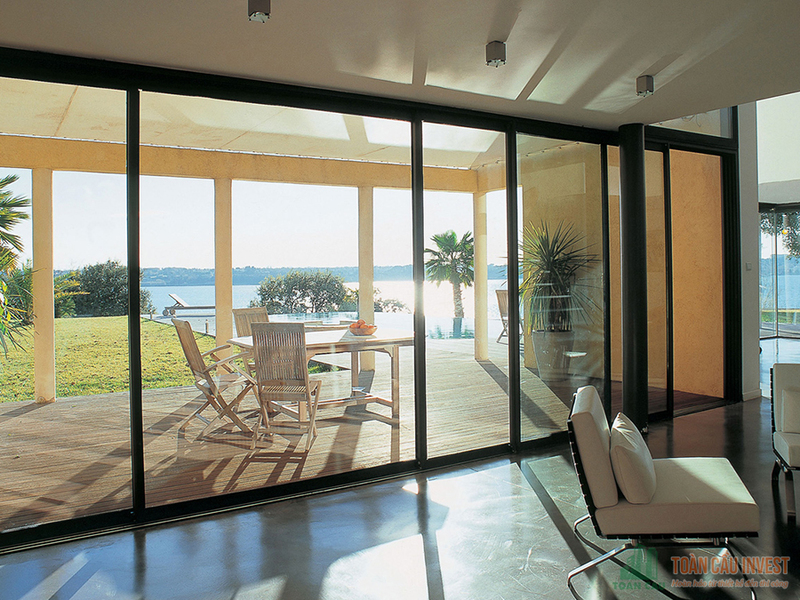 Aluminum Glass Doors – With Modern Furniture Trends Now! 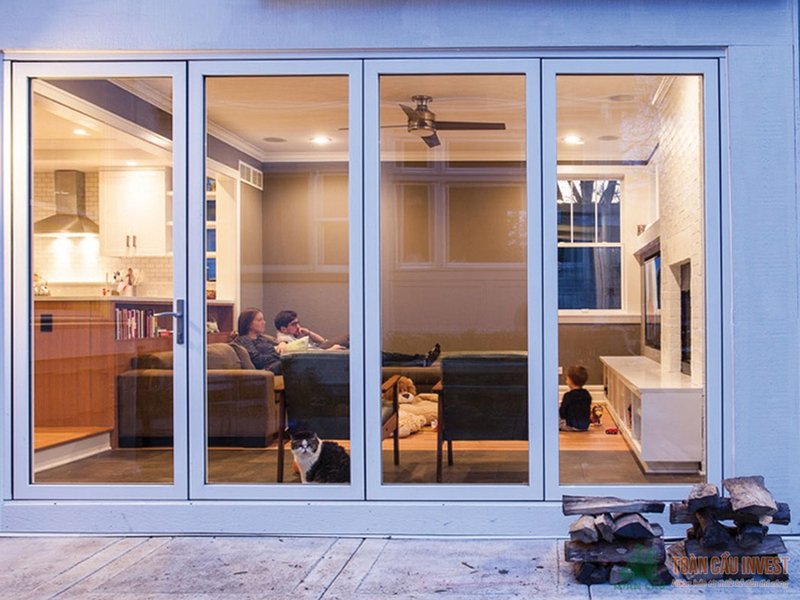 The use of glass in the furniture of the home has become practical because of it’s benefits. It not only brings aesthetic elegance modern, but also because of its effectiveness as creating spacious space, high durability and easy to cleaning. In addition to the application of glass into the glass wall, glass handrail, glass stairs, glass roof sunblock, Stick glass facade … the glass is also used as windows, doors. 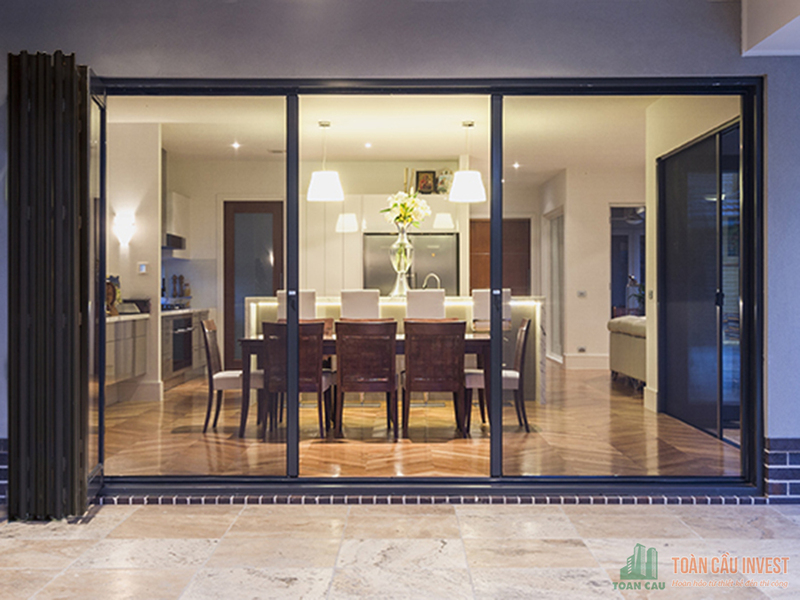 Aluminum glass doors with mouning ssimple, many other smart materials but it still has high durability and safety when using, so casement door, sliding door, ledged and braced door, revolving door, class A door, smart door,…. is very preferred and be used quite commonly in Vietnam. – Doors and walls are made of aluminum alloy bars have structure is divided into many blank boxes combined with gaskets and metal accessories has created products with good quality sound insulating & thermal insulating. – the most modern mounted corner technology is to ensure the doors have high durability,good quality sound insulating, thermal insulating and high tightness. – The absolute tightness hinders the circulation of cold air inside and outside heat, so contributing to saving electricity costs for air condition. – Doors open turn with anti-shock bar to avoid the risk of wind be gust. – Products can be withstood to wind pressure up to 1600 pascal, qualified to ensure the safety of buidding located in windy areas. – Using alloy doors, aluminum walls and glass boxes is the best solution in saving energy for skyscapers have large acreage surface direct contact with sunlight. 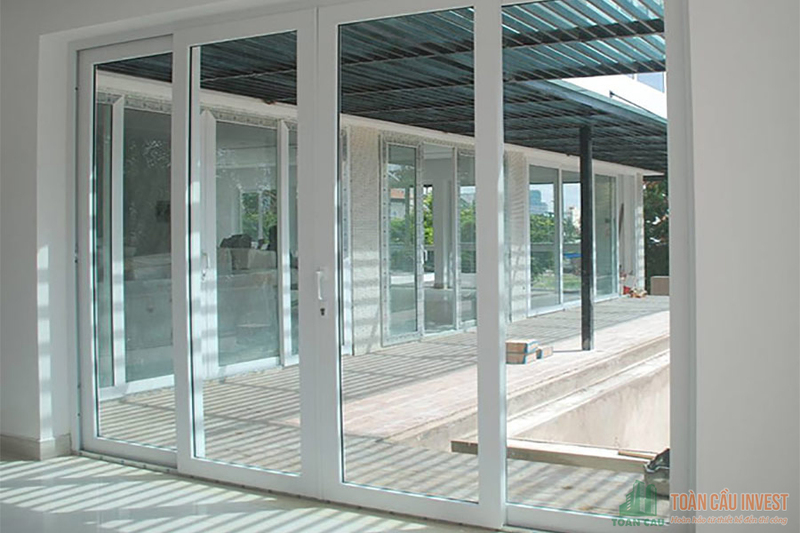 – Aluminum bars are treated surface and painted electrostatic paintting with advanced technology will have high durability, always keep the color and texture of the door even in severe weather conditions in Vietnam. – High hardness to increase the strength, to ensure the safety of the house. – Helps to expand the space and create a comprehensive view of the building. – Lightweight material contributes to reduce the overall work load. – Diverse size, style, suitable for many types of architecture. 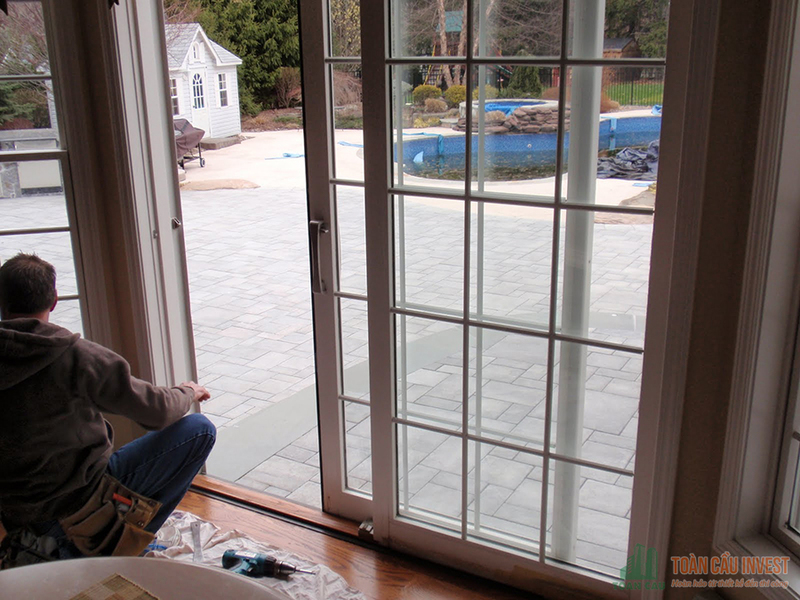 – Convenient for the construction and installation, safe to bring a complete door system both aesthetic design and durability over time. – The product is easy to clean, easy to maintain and always keep the perfect original beauty. – Alloy aluminum is applied commonly second (after steel) in production and application. – Used in both airplan and aviation equipment manufacturing technology.